All fresh hydraulic oils are certified, i.e. the oil’s performance is confirmed. By purchasing a certified product, the customer can be confident in its performance. However, during operation hydraulic fluids and oils come under influence of a wide range of temperature, pressure and stream velocity. Contamination leads to stable foaming, which can cause hydraulic equipment failure. Organic contaminants have similar physical properties with the operating fluid. Appearance of oxidation products leads to increase of acidity in the liquid and corrosion of metal parts. When temperature increases, the oxidation process intensifies, as the oil contains solved or emulsified air. Another negative influence are solid particles, which increase part wear. It should be noted that most contaminants enter the liquid during operation. The growth of contamination increases proportionately with the increase of the friction force in hydraulic systems, hydro-distribution system starting force and wear of friction parts. 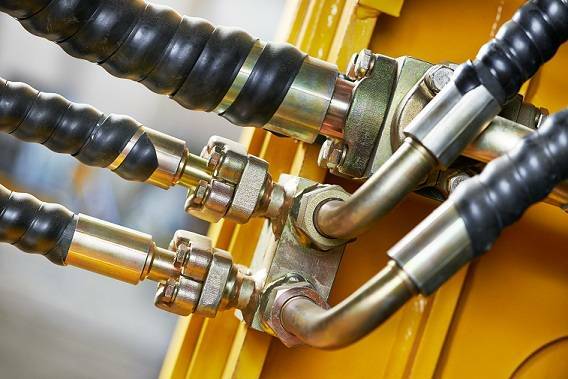 All this decreases performance and reliability of hydraulic systems. Therefore purity of hydraulic oil is essential. To make life easier for the client, GlobeCore developed and supplies the CMM-4MT units, designed for complete purification of hydraulic oil. The only requirement to the product is that its viscosity does not exceed 280 cSt at 50 ºС. The equipment is one of its kind, allowing purification of hydraulic oil to purity class 9 from purity class 13. The impressive result is achieved by multiple passes of the hydraulic oil through special filters. Besides, the CMM-4MT can heat hydraulic oil. On customer requires, the units can be stationary or mobile. Purchasing GlobeCore’s equipment allows to significantly extent the life time of the oil and equipment where the oil is used.